I didn’t really think it through. 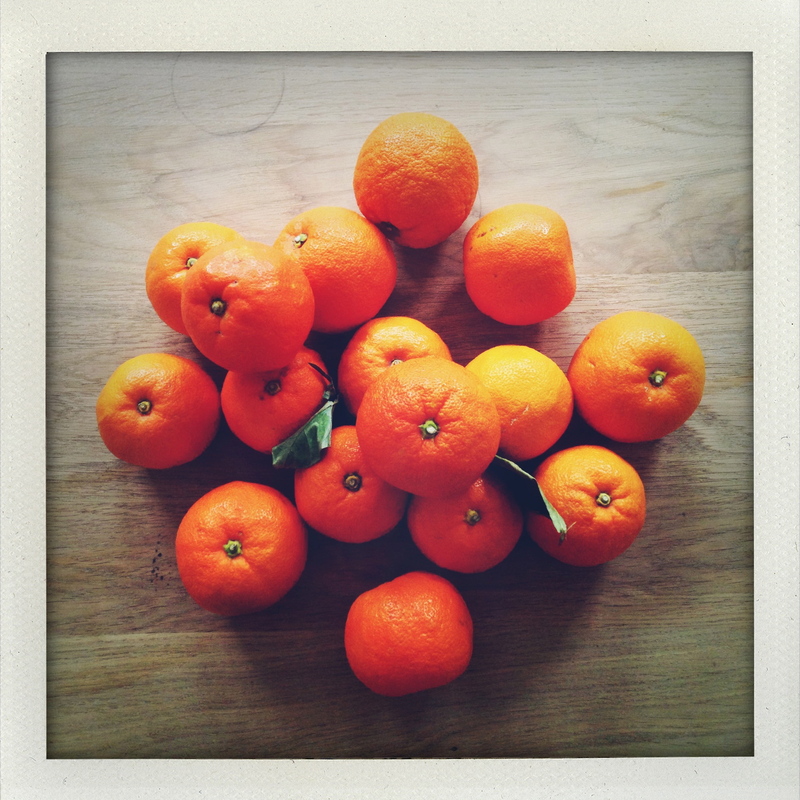 I entered the shop and ordered two kilos of Seville oranges. An impulse buy, as one might pick up a pair of gloves while waiting in the checkout line — though one with momentous consequences. Is it the Paddington effect? Was I surreptitiously inspired by photos of glowing jars posted online by a friend? Did I unwittingly yearn for a stockpile to appease the marmalade-devouring members of the family? Am I becoming British? Whichever the cause, the effect was me trudging home with a big bag of bitter oranges. So I went in search of a recipe. I first turned to the usual suspect: the jam fairy Christine Ferber. But Ferber uses a significant amount of granny smith apples in her bitter orange marmalade. Her recipes often call for apples, used to extract a pectin rich jelly that later helps to shorten the cooking time thus allowing for a more vibrant fruit taste. 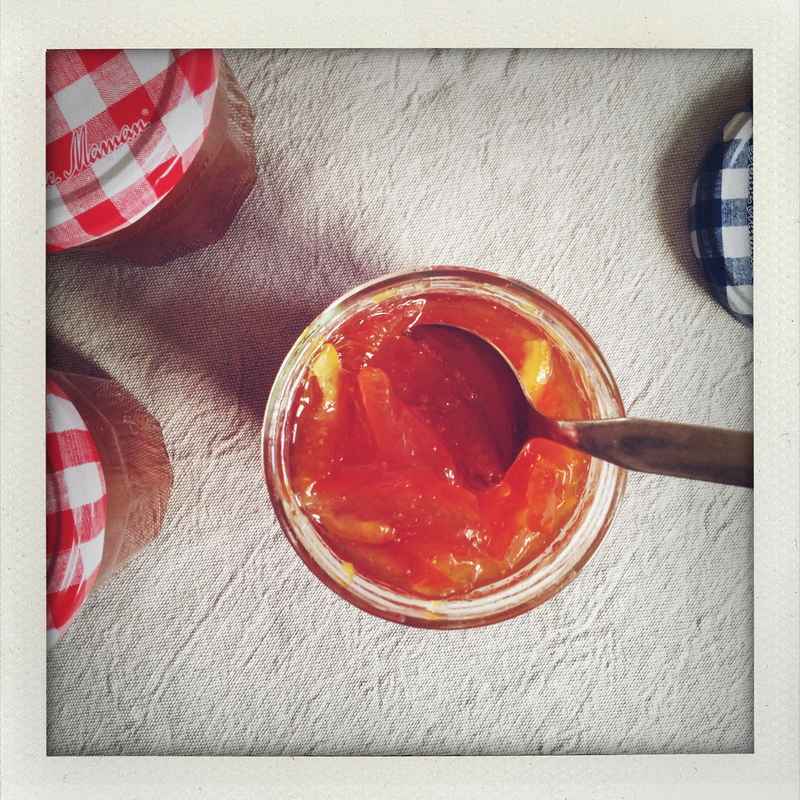 Apples in marmalade? Tut tut, my budding speckles of Britishness balked at the idea. I had to look elsewhere. So on to Nigel Slater, whose piece in The Guardian a few years ago could be considered essential reading for anyone about to embark on a marmalade adventure. Slater beautifully captures the fastidious joy of making marmalade, all the while slyly cautioning those who might derive anything less than pure pleasure from the unwieldy process to stay away. 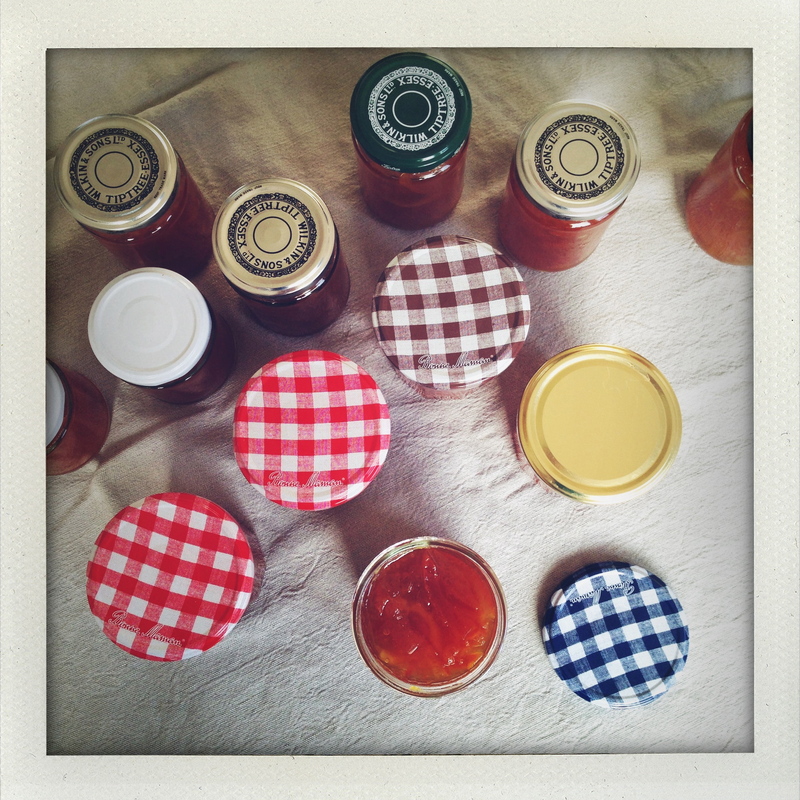 Marmalade making must be relished, or not at all. It becomes quickly clear that there are as many marmalade recipes as there are makers of marmalade. I read a number of methods, chose one which seemed to suit me best, as much in the actual process as the expected outcome, and altered it slightly, of course. The recipe is a mild adaptation from one in the River Café Cookbook Green. There are no quantities because the amount of sugar is calculated in proportion to the weight of cooked fruit. I used 2 lemons for 2.2kg of oranges, one would suffice for a smaller amount. Wash the oranges and let them soak 12 to 48 hours in cold water. Drain and rinse. Place the oranges in a large heavy-bottomed saucepan, cover with cold water, and slowly bring to a boil. Reduce the heat, cover the saucepan with a lid slightly askew and simmer the oranges for 3 to 4 hours until they are completely soft. Stir the oranges occasionally (they float and only part of each orange remains submerged at any one time). Be careful that the liquid doesn’t evaporate completely. Add water if necessary. There should remain 2 to 3 cm of liquid at the end. Let the softened oranges cool enough to handle and set the saucepan with the cooking liquid aside. Cut each orange in half, take out all the seeds and any rough fibers, then very thinly slice the rind together with the pulp. Weigh tall this skin and pulp and return to the saucepan (still with the liquid). Measure an equal quantity of sugar, add to the saucepan. Wash the lemon(s), cut them in half, then slice as thinly as possible in half moons. Add those to the saucepan too. Let the jam cool slightly before spooning into sterilized jars.